We perform transaction-related valuations, fairness opinions, purchase price allocations; impairment tests or expert opinions by using the "Ertragswertverfahren" or discounted cash flow method, in accordance with relevant principles. We perform plausibility checks for determined company values by comparing them with appropriate market multipliers. In addition, we have a high level of expertise in the valuation of companies in restructuring situations. 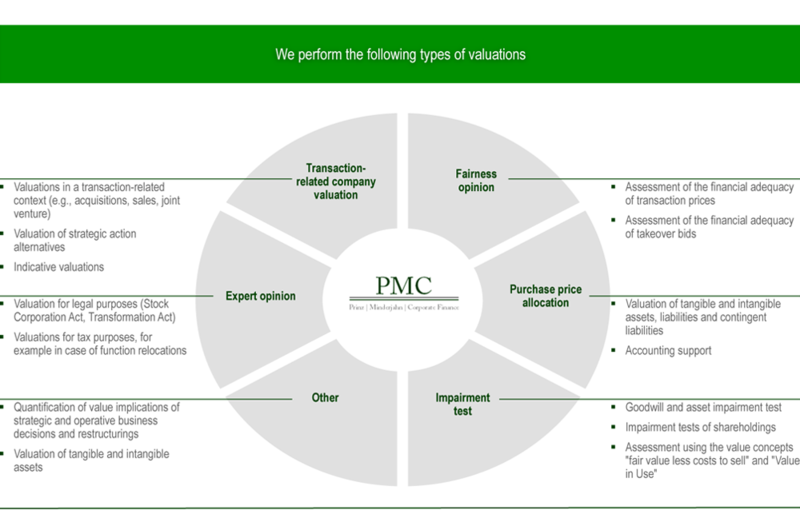 To assessing the available action options, we derive respective enterprise/equity values.